BTW, random fact of the day, did you know that it’s Gideon Sundback’s 132nd birthday today? ‘Who is Gideon Sundback?’ I hear you ask. He’s the man that made all those wee pouches possible, the one that invented the notion feared by seamstresses far and wide, yes folks, he invented the zip. Did you see the google zip thing today? I must have zipped and unzipped the damn thing like 50 times!! Good luck with all the curves. Knowing you they will all turn out perfect. Good luck with the curves! How have I not managed to google anything today?? Good luck with the curves! Ok so I have looked at that zipper at least 10 times today but it did not occur to me to unzip it, thank you. And you will have fun sewing the curves, I am sure. I did make a small video if you wanted to check it out. I am far behind on the blog reading, I love the picture of you and Sheila and also your lists for winter are rather amazing. Ha! I was just, as in seconds ago, unzipping the google zipper with my daughter who asked me the same thing, Mom do you know who……… is. So very, very cool. We personally think that's one of the best Google thingies yet!!! I saw the zip on google as well but din't know I could unzip it! Can't wait to see your Retro flowers. Interesting fact – I just love all these little details. Good luck with the curves. it's fun to know we re working on the same retro flowers blocks right now. Happy curve sewing. You'll find they are way easier and go more quickly than anticipated. I love the way google does those clever things in honour of people birthdays. 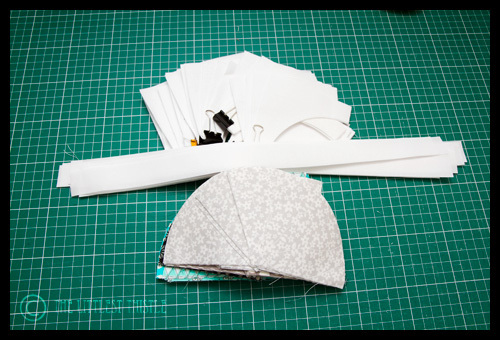 Have lots of fun curvy sewing times. 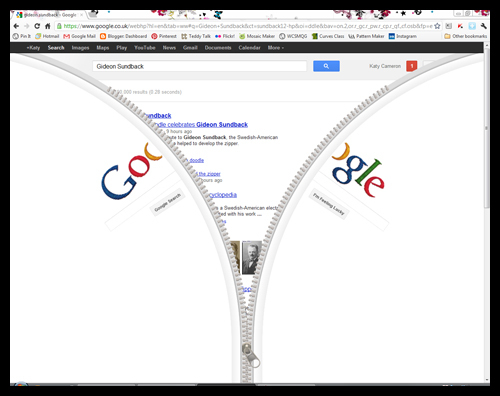 I spent way too much time with that Google zipper yesterday! Hope your curve sewing goes/went well! Aw poo, I missed the zipper! Now that I mostly use Chrome, I haven't been to the google search page since I can search from the address bar. Shucks!